Personality recognition from text consists in the automatic classification of authors' personality traits from pieces of text they wrote. Classifier's predictions can be compared against gold standard labels, obtained by means of the big5 personality test. Until recently, the application of personality recognition was limited to offline texts, while now there is a strong interest in the scientific community to apply it to online social network sites, which is a really challenging task. 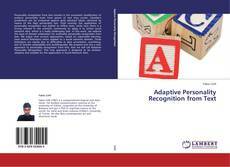 In this work, we address the issue of domain adaptation for automatic personality recognition from text. We argue that current approaches, based on supervised learning, have several limitations when applied to a social network domain. These limitations are mainly due to difficulties in data annotation, overfitting, lack of domain adaptability and multilinguality. 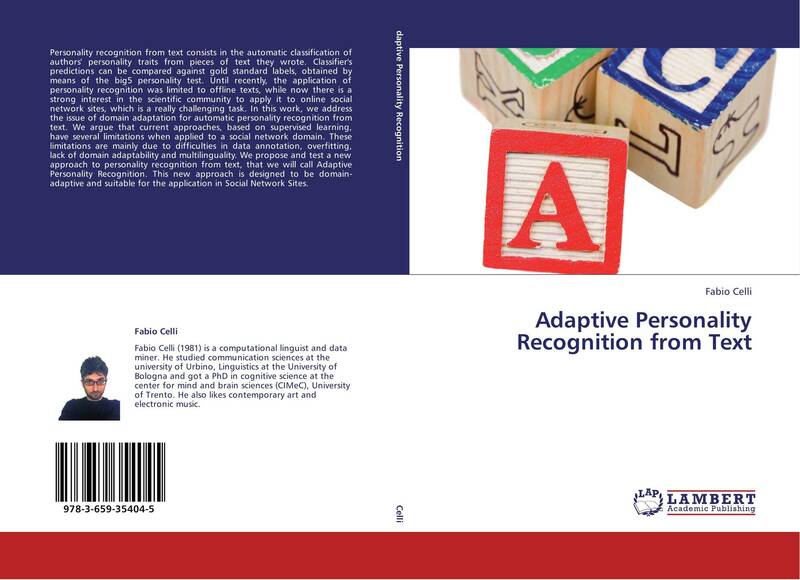 We propose and test a new approach to personality recognition from text, that we will call Adaptive Personality Recognition. This new approach is designed to be domain-adaptive and suitable for the application in Social Network Sites.